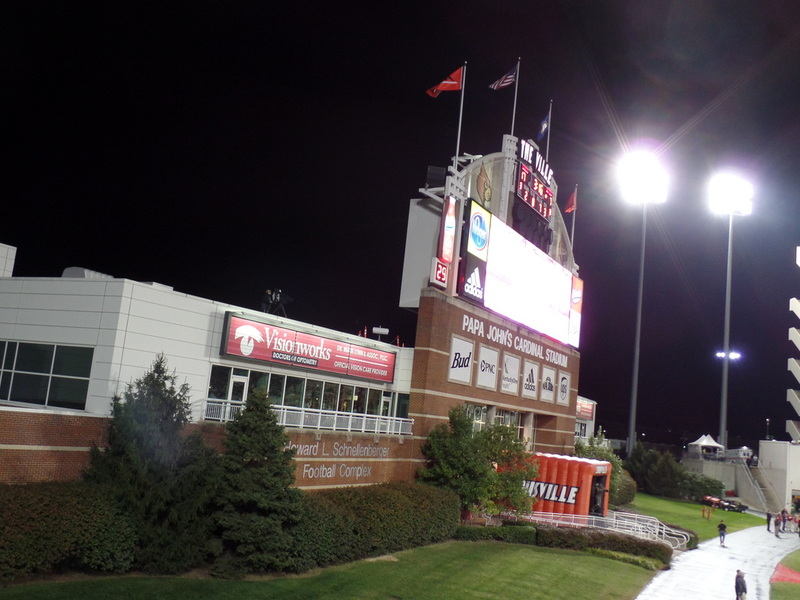 Cardinal Stadium is located on the University of Louisville campus. The 55,000 seat stadium opened in 1998. It cost 135 million dollars when the project broke ground in 1996. The stadium has two main levels. The lower level is shaped like a horseshoe. The upperdeck is only on the east side. In between the upper and lower levels they have suites and club levels. The North end zone is the lone section without seating (coming in 2018) but it does feature a scoreboard, sound system and the Howard L. Schnellenberger Football Complex. The complex opened in 1998 with the football stadium. It houses the locker rooms, weight rooms, offices and more. It was announced that the north end zone will get an upgrade by 2018. On the South side of the stadium they have lower level seating plus the Norton Healthcare Terrace. The terrace added a new scoreboard and standing room for fans to hang out and watch the game. A new addition to the south end zone is the Thornton's Academic Center. The academic center will be available to every student athlete at Louisville. They have also have covered areas to keep fans covered from the weather. The West side of the stadium is home to the press box, Brown and Williamson Club and Stites and Harbison suites. 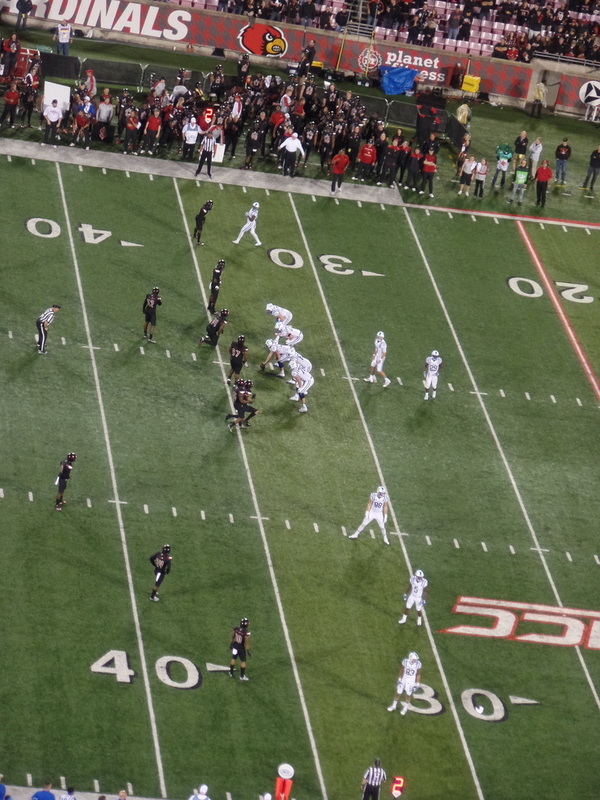 On the roof of the press box they have Papa John's Stadium, University of Louisville written. The Brown and Williams Club features 2,000 seats. These seats are covered from the elements and have more leg room. You also have private bars and concession stands. The stadium has 63 suites in total and about half of them are on the East side. The East side features the only upper level seating in the stadium. 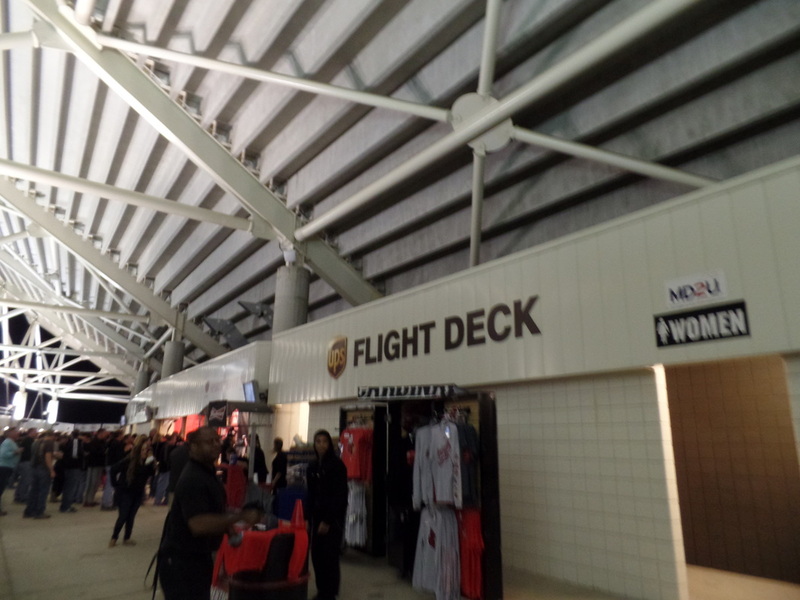 They call this section of the stadium the "Flight Deck". With the airport near by the name makes sense. The East side also has a similar setup with club and suites in between the upper and lower level seating. The club seating on the east side is called the PNC Club. The 20,000 square foot space is enclosed with glass and has outdoor seating with heaters above for when it gets cold. The stadium has spacious concourses especially in the lower level. They have nice green space areas as well which gives kids a good area to run around. They have a small walkway further in towards the the seating entrances which can deflect traffic from the main concourse. They've added plenty of flat screen TVs so you won't miss any action. View of the Norton Healthcare Terrace. #1 Gotta lock down parking. Plenty of parking all around the stadium. On my visit we parked with the boy scouts off of central avenue. We didn't take the Kentucky Kingdom exit and I am glad we didn't, the traffic was awful. Take the next exit for better luck. 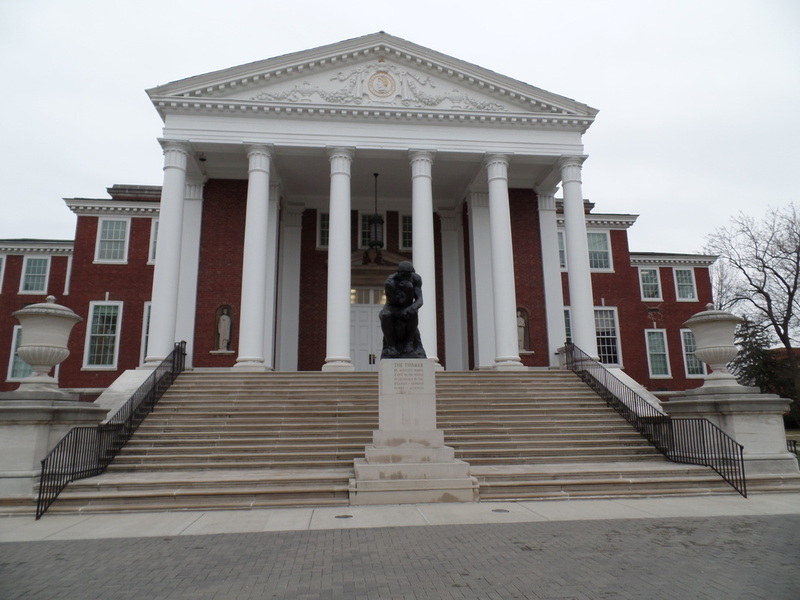 #2 You are close to Churchill Downs so you might as well walk over and check out the museum. #3 Head over to the campus and check out some of the sports facilities and the Thinker Statue. #4 Go hang out with the Cardinal fan base as they tailgate all around the stadium. #5 Head to Papa Johns Stadium! Cardinal Stadium: It isn't often that you visit a college stadium that has no bleacher seating and sits on campus. These are big positives to me. The bleacher seating packs in more fans but the comfort of knowing you have your own seat/space is great. The sound system was perfect and could be heard well at all points of the stadium. They have a good amount of luxury seating options. I sat at the very top of the flight deck. You have an average view from there. It is really high up for a stadium that only seats 55,000. Lets keep in mind that they are chair back seats in the stadium. Once they connect the lower level this stadium will be even better and yes, I will be back to update the review! Upgrades: One thing that was disappointing was the location of the Johnny Unitas statue. Why put it where fans can't reach it during the game? They need to move this just outside the stadium or on the lower level concourse. My main issue was with the North End Zone. That is being addressed. When it comes time to replace the current seating the addition of cup holders would be nice. Or simply adding them to the back of the chairs in front of them. I don't love the top of the West side of the stadium. 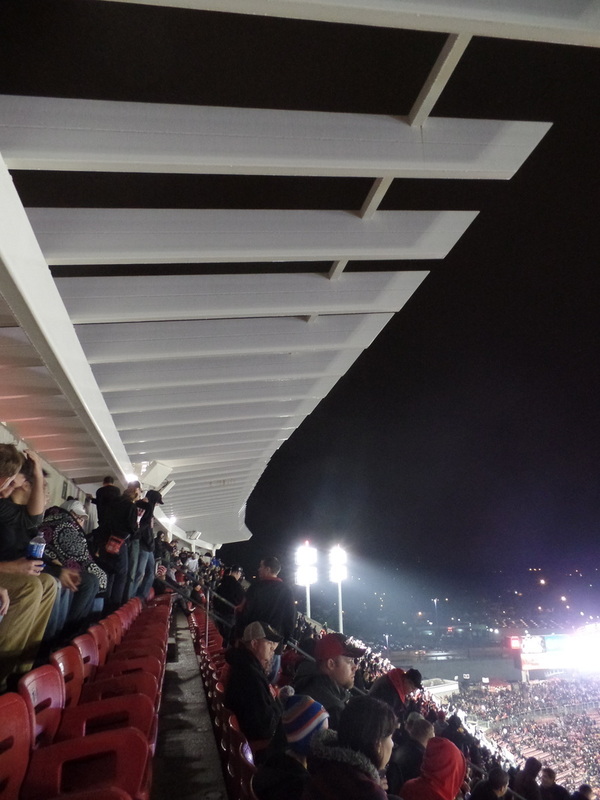 It is a cosmetic problem not a major issue but something more modern would give the stadium more flare. On the opposite side they have an overhang at the top of the flight deck but it doesn't really serve a purpose. If it was a solid roof that would be better, gives an incentive to sit in those seats since they would be covered. I would extend them out further too if the structure allows. See Husky Stadium for a general idea. 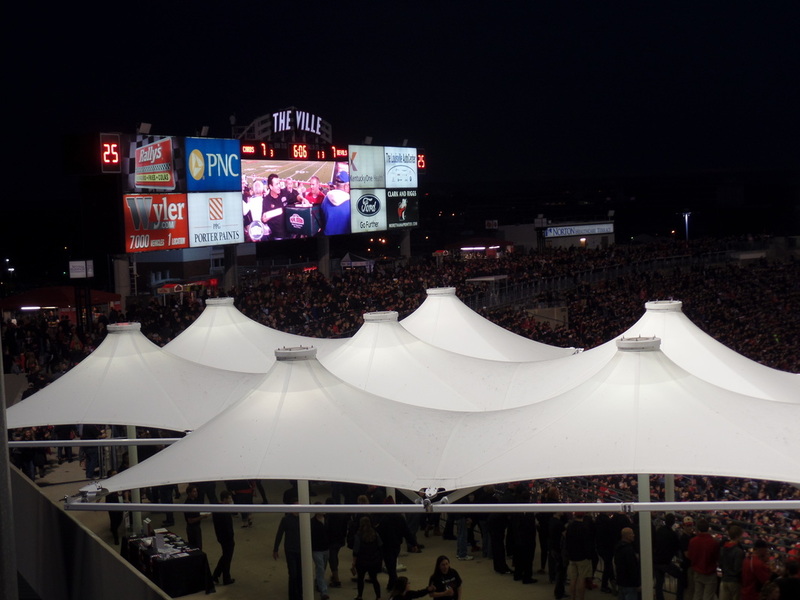 A longer roof would capture noise from the upper deck and funnel it down to the field. Scoreboard: The two scoreboards sit in the north and south end zone. The south end zone features a 60 X 20 LED video board which are a good size. The north end zone scoreboard isn't quite as big but it host the powerful sound system. I loved the sound system it was one of the better ones I have heard in College Football. The ribbon boards are always important to have in a stadium. 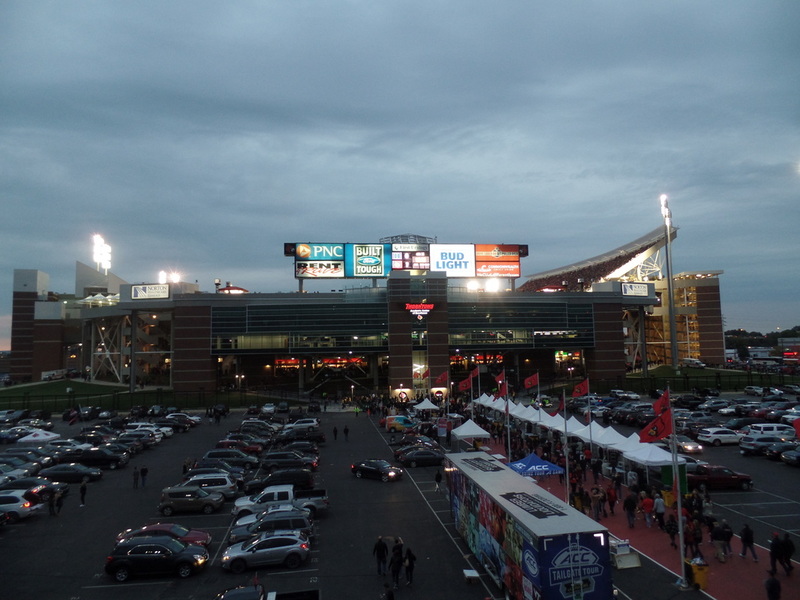 Louisville has them on both the east and west side of the stadium. One thing that they could in improve on is have a place for stats. I might of missed it but I didn't see too many stats throughout the game. 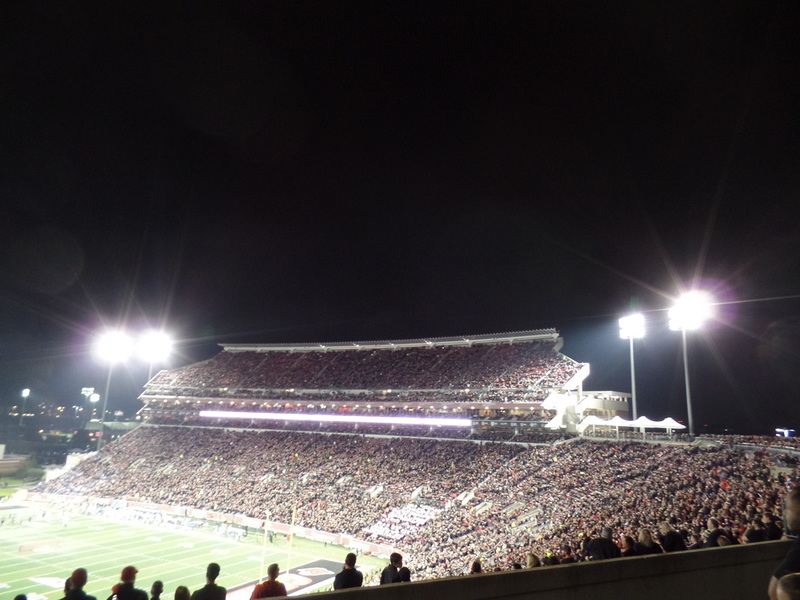 Atmosphere: The black out was in full effect on my visit. Every where you look you saw Louisville fans wearing their black Cardinals gear. The place to check out for a party like atmosphere inside the stadium is the south end zone. Plenty of standing room available and it is packed. The crowd gave a nice applause for former Cardinal Gorgui Deing. The Cardinals do put on a good tailgate. So join in and have a brew. They bring in the train horn at times throughout the game which plays off the stadiums proximity to the railroad. It is the same shift horn from the original rail yard. The "Card March" is usually 2 hours and 15 minutes before the game and allows fans to get close to the players as they enter the stadium. The game I attended was the 10th highest attendance in the stadiums history. Overall it was a good, enthusiastic crowd but not quite at an elite level. 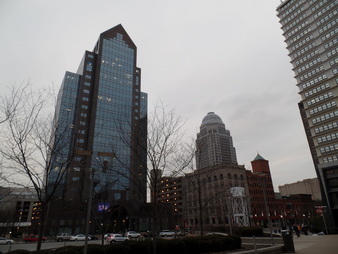 Louisville, KY: The largest city in Kentucky sits on the banks of the Ohio River. The city is well known for the Louisville Cardinals, Kentucky Fried Chicken, Louisville Sluggers and of course, Horse Racing. The city offers plenty to do for tourist with one of the largest collections of Victorian Homes found in the United States located in "Old Louisville". Here you will also find plenty of pedestrian only streets. Fourth Street Live is home to Louisville's entertainment hub with plenty of live entertainment, food and drinks. If you're looking for a place to relax next to the river check out the Waterfront Park. The city is well known for their bourbon providing the nation with over a third of the whiskey found on shelves around the United States. For the history buffs West Main is your spot. Also known as "Museum Row" with many museums within walking distance of each other. NULU is becoming more of a destination for visitors with a nice balance of dining and shopping. I can't go to Louisville without getting a chocolate chip cookie from Please and Thank You! Other attractions around the city include Louisville Slugger Field, Louisville Zoo, Belle of Louisville, KFC Yum! Center and Kentucky Kingdom. What are you waiting for grab some bourbon. Place Your Rating for Cardinal Stadium! 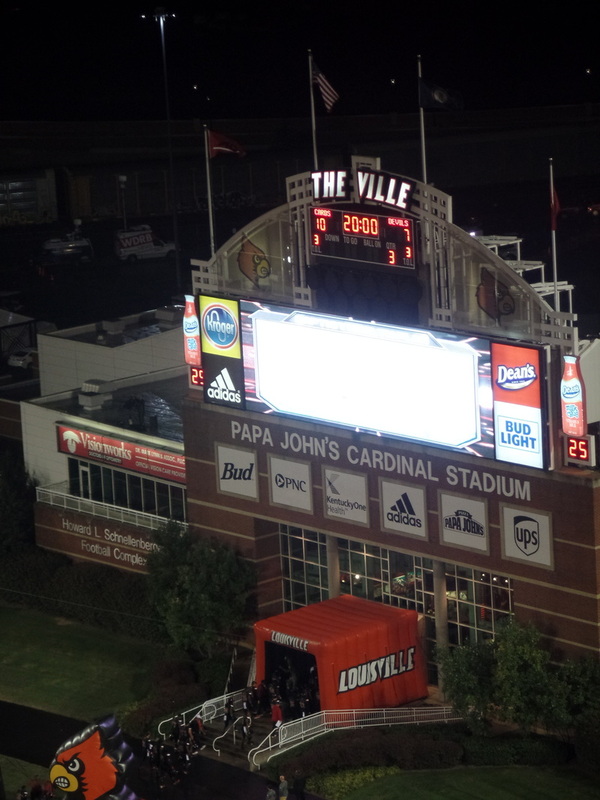 Want To See Where Papa John's Stadium Ranks?